M4 Burritos offers products and service that meet the highest quality standards. To do so, each employee must undergo extensive training to acquire and apply high standards of hygiene, safety, food-handling practices and customer service. When it comes to superior taste and quality, fresh ingredients are essential. That’s why at M4 Burritos, you won’t find any freezers, fryers or microwave ovens. 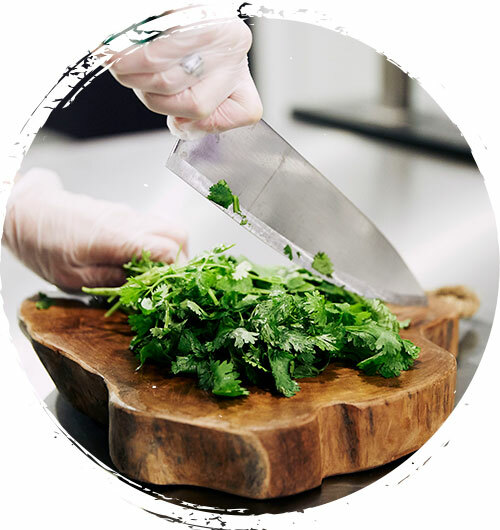 All of our recipes are cooked on location with fresh, prime-quality ingredients. 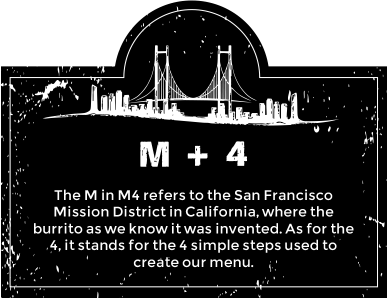 M4 Burritos is where fast food merges with the savoury cuisine of California. This dynamic segment of the “fast casual” phenomenon combines quality food with the practicality of quick-service restaurants, all wrapped in a unique atmosphere. M4 Burritos strongly believes in giving back. 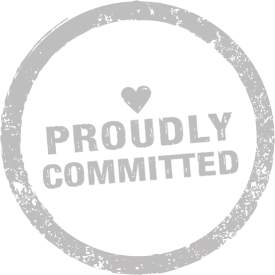 As a socially responsible company, M4 Burritos takes part in events that seek to contribute to the development and betterment of our community. 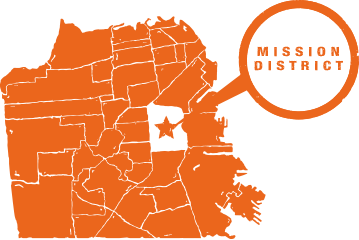 from The Mission district of San Francisco. 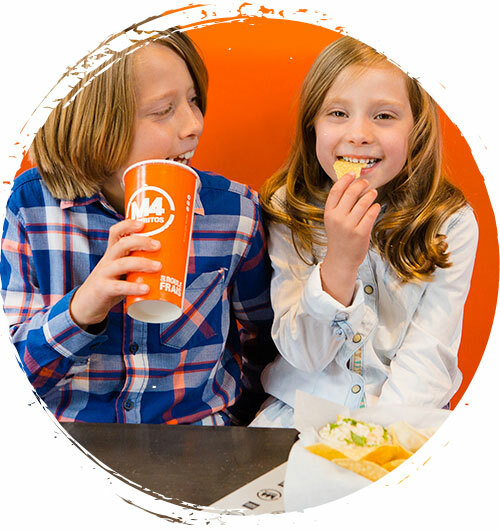 M4 Burritos is a franchise concept that is rapidly growing in popularity. The quality of our ingredients is our top priority, but we also care very deeply about our customers’ experience. That’s why our “fast casual” style combines the efficiency of quick-service restaurants with the benefits of full-service meals. M4 Burritos gets involved ! M4 Burritos takes part in many events and supports several organizations to fight poverty and malnourishment. Together, let’s work so that everyone can have access to a better quality of life. At M4 Burritos, we are serious about offering quality employment opportunities and a stellar work environment for our employees. 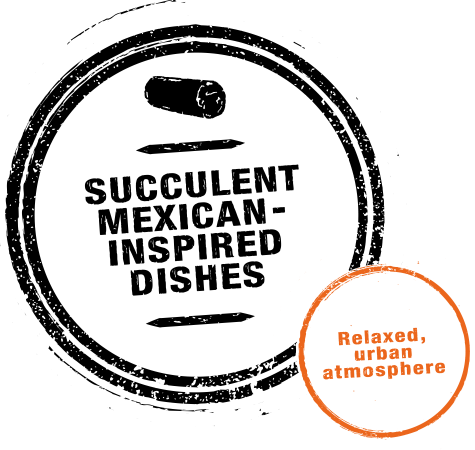 Rolling Mexican flavours across Canada! 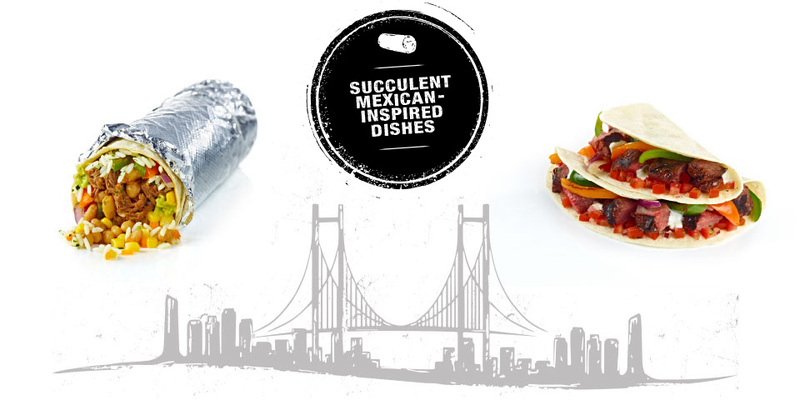 M4 Burritos is synonymous with innovation! That is why we are continuously developing our concept to improve our recipes, optimize the quality of our service and enhance our customers’ experience. To serve you better, we are now expanding and hope that one of our new franchises will pop up near you soon!